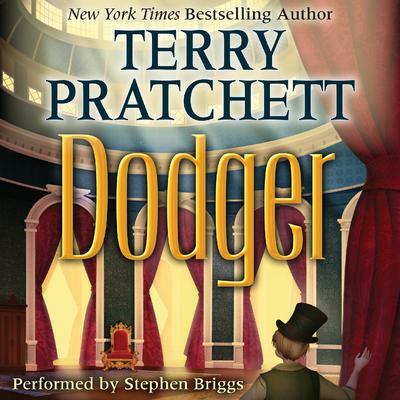 Beloved and bestselling author Sir Terry Pratchett's Dodger, a Printz Honor Book, combines high comedy with deep wisdom in a tale of one remarkable boy's rise in a fantasy-infused Victorian London. Seventeen-year-old Dodger is content as a sewer scavenger. But he enters a new world when he rescues a young girl from a beating, and her fate impacts some of the most powerful people in England. From Dodger's encounter with the mad barber Sweeney Todd, to his meetings with the great writer Charles Dickens and the calculating politician Benjamin Disraeli, history and fantasy intertwine in a breathtaking account of adventure and mystery.